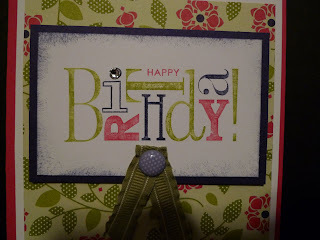 Karina's Kreations: Hostess Product Birthday Day Card! 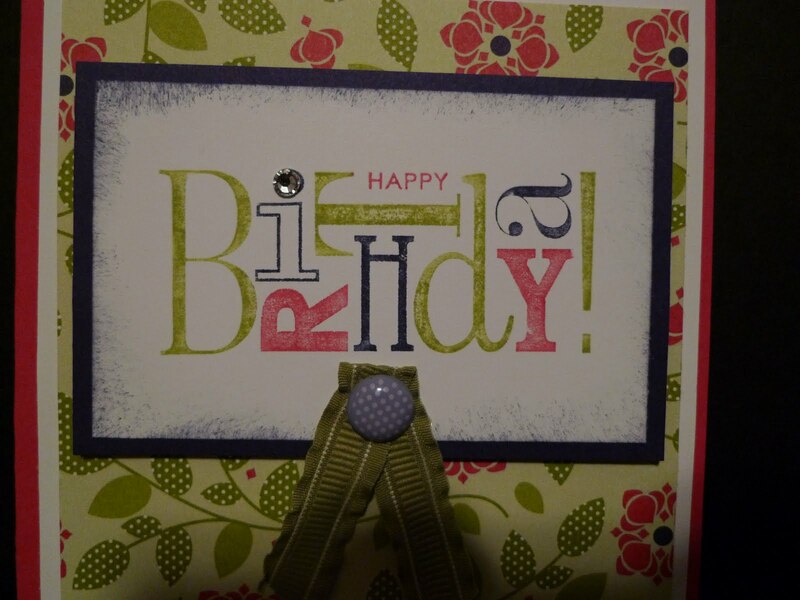 Hostess Product Birthday Day Card! 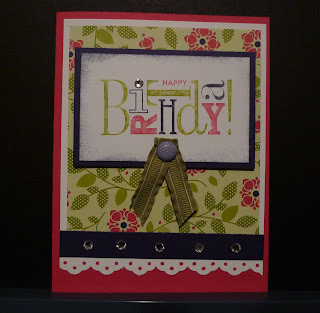 I needed a cute birthday card for a friend and decided to use the Cheerful Treat Designer Series Paper. I love the bright cheerful colors and it's free if you host a party. 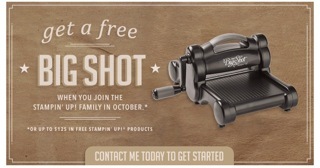 In fact, the stamp set I used is also a hostess item. The stamp set is called Happiest Birthday Wishes. The card stock colors are Melon Mambo, Concord Crush & Lucky Limemade. 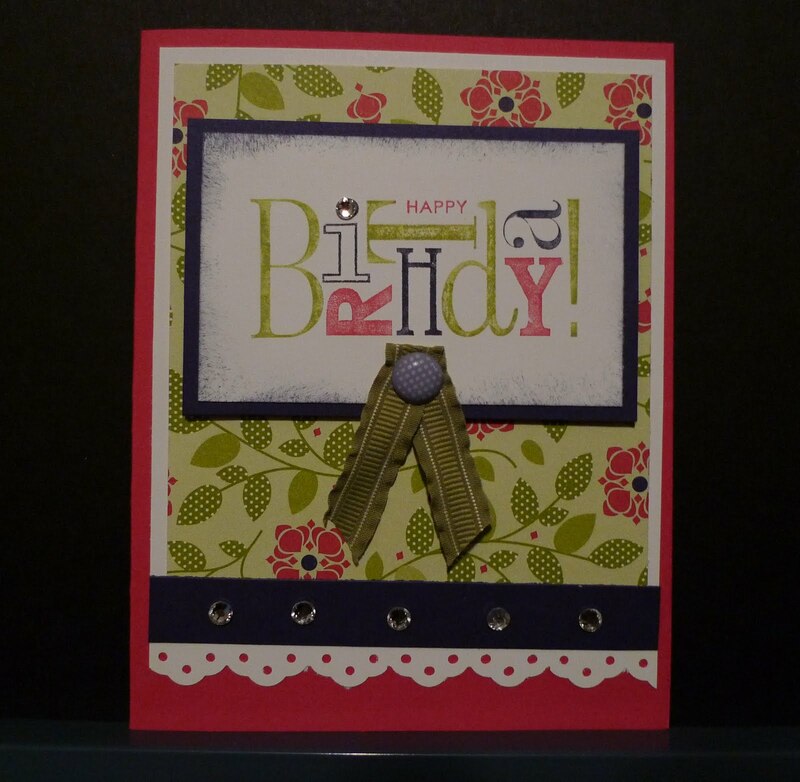 I used the matching Lucky Limeade 3/8" Ruffled Ribbon and the Designer Printed Brads.